In 5 days the Audubon Christmas Bird Count season officially opens and tens of thousands of people across the land will continue a tradition that began 112 years ago. I guess it just about must be the oldest "citizen science" project there is. For me, this will be #11 since my interest in birds really took off a little more than 12 years ago. I freely admit that the motivation for participating in my first CBC was based more on personal greed than the welfare of the birds – I wanted to learn the best places around where I live to go photograph them and to learn a little more about the species I was seeking to photograph. It’s not like that anymore – now it’s all about the birds. 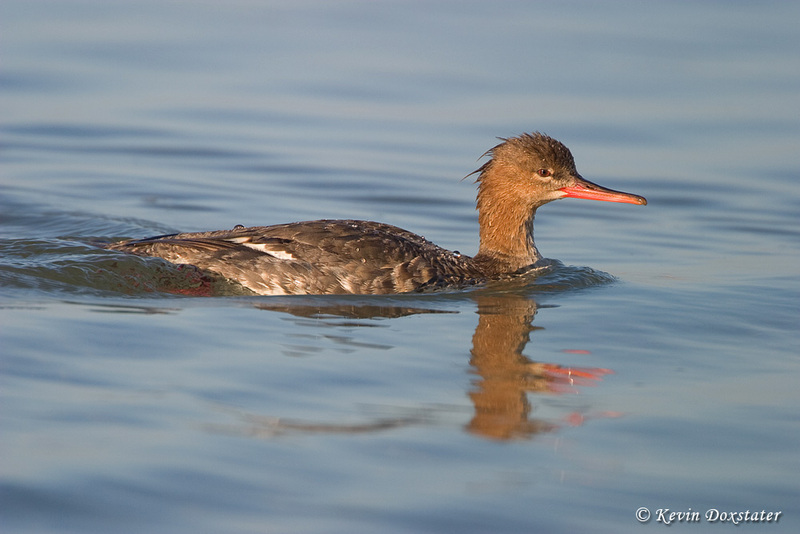 Red-breasted Mergansers and more than 175 other species are being found farther north on CBCs. It’s interesting to learn how scientists are using the the data from CBCs to study birds, their movements, and population trends. There are a number of articles on Audubon’s website that you can link to, but one I read a few months ago that I found very compelling discusses how many species are being found in locations farther north than they were back in the 1960s. In 2005, Purple Finches (Carpodacus purpureus) were being found 433 miles farther north than they were in the 60s. Most telling to me, however, were the ducks being counted farther north, with Red-breasted Mergansers leading the way at 317 miles farther north. For me, this is just another indication that something may be amiss with our climate. Ducks need open water and, if it is to be found farther north in late December and early January, then it stands to reason that it just may be getting warmer. But enough about serious matters (even though they are important), this blog is, after all, Birding is Fun. And you can certainly have fun on Christmas Bird Counts – depending, I suppose, upon how you define fun. I started out, like so many do, going on the counts as a way to learn about birds, teaming up with folks who were local experts. “Each of the citizen scientists who annually braves snow, wind, or rain, to take part in the Christmas Bird Count” is from Audubon’s web page on the CBC, and the weather actually can be part of the “fun.” I’ve never experienced anything quite like what Kenn Kaufman describes near the end of his classic book “Kingbird Highway” (if you haven’t read it, you should), but I’ve certainly had some interesting days. It was on my first CBC that I saw my first Florida Scrub-jays - and learned about their plight (the usual suspects: habitat loss due to agriculture and over development). I remember sometimes badgering my good friend David of Halifax River Audubon about the dates he chose for the counts in the Daytona Beach circle. You would think a place they call the “Sunshine State” would, more often than not, have great weather in December, but it seemed like it was almost always bad when that count came up. The most extreme was, if memory serves, in 2005. The day actually started out not too bad, but the drizzle started before we left the morning meeting place and by about 9 a.m. it was raining harder, the temperature was dropping (into the 40s – which for Florida is darned cold), and the wind was picking up. It was a Sunday and I ended up stopping at a store as soon as one opened to buy another layer to add to what I already had – I was getting wet and cold. All the little birds were hunkered down in the city parks and pickings were slim for warblers, kinglets, and others we would expect in those habitats. Low tide was going to be late afternoon that day, so we scheduled our route to be on the beach at the time. Low tide is normally the perfect time to prowl the beaches for gulls, sandpipers, plovers, and to look for whatever we could see flying just offshore – the area is usually good for gannets and, on a good day, maybe some scoters or loons. We made one attempt to get out on the beach, but that was thwarted by the gale force wind blowing out of the north and, though you can legally drive on most of the beaches around Daytona, the sand was way too soggy from the rain. With all the condos and hotels lining the shore, the strategy was to use a building for protection and lean out for a look. Looking south, with the wind at your back, wasn’t so bad, but looking north you’d get a face full of sand and salt spray. And forget about using your binoculars or a spotting scope – the salt spray would be devastating to the optics. Plus the visibility was only a couple of hundred yards at best. That’s a day of birding I won’t soon forget, I’m just glad I didn’t have to go out on any jetties like Kenn . 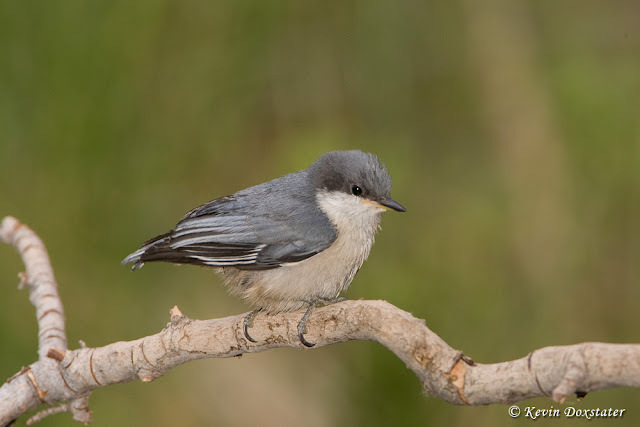 . .
Little Pygmy Nuthatches are pretty common on the high plateau in southern Utah all year, braving some pretty harsh winters. On the 15th of this month I’ll be participating in my 5th CBC where I now live and, as it approaches, will be watching the weather forecasts closely, ‘cuz ya never know what you’ll end up with here. So far it looks good, but that can change. My first here was in a driving snowstorm and, over about 6 hours, only had something like 4 species and 9 individuals to show for my effort. A couple of years later, working in a different part of the count circle (at much lower elevation on a “warm” sunny day) had over 20 species, including several species of ducks and even a Ring-billed Gull (thanks to a warm fall and open water. Last year started out snowy, but then became sunny and a rather nice day – the only scary moment coming early when I thought for a moment my count partner was going to put us in a ditch as we slid down a snow covered section of road miles from anywhere and out of cell phone range. Thankfully there’s too much snow at this point this year and I won’t have to travel that road again – that was way too much stress for the 3 Pygmy Nuthatches and a Clark’s Nutcracker we saw after spending 1-1/2 hours or so in that area. It's always great to see a Ferruginous Hawk, one of the few species that actually migrates to this region in winter. 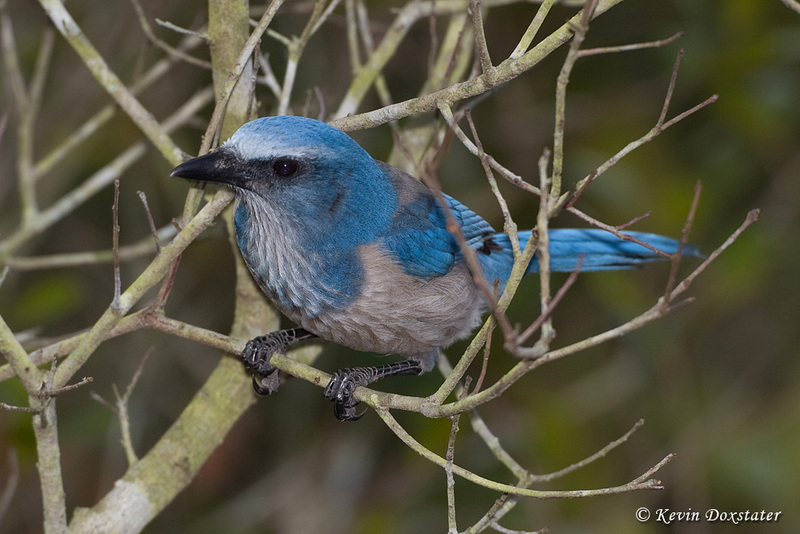 If you’ve never participated in a Christmas Bird Count, I urge you to give it a try. “Fowl” weather notwithstanding, you meet some great folks, see some birds, and get to do a little science that helps them, too. 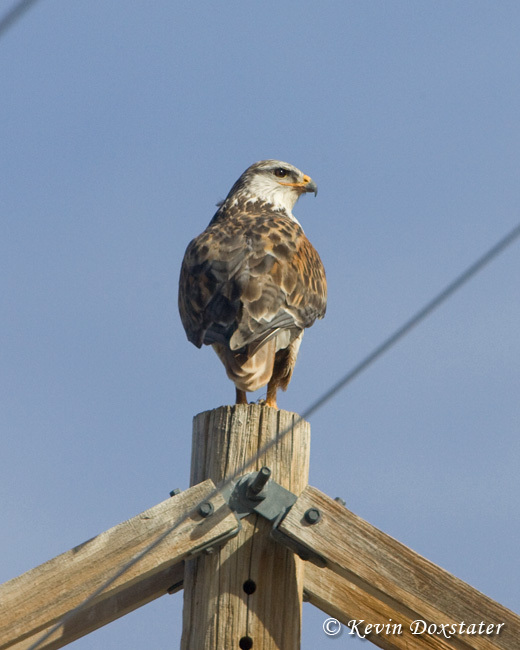 Contact your local Audubon chapter or you can search for counts in your state or province here: https://netapp.audubon.org/cbcregistration/. Cedar Waxwings are another, though I've only seen them once in 4 CBCs in this area. Wishing you the Happiest of Holidays and a Birdy New Year! Great post Kevin. Your enthusiasm for the Christmas Bird Count is contagious. Cool photos too! Kevin, awesome photos and quite a plug for the Christmas Bird count. I must admit, I have never participated and will not be able to this year as I am helping my mom who is undergoing chemo treatments for breast cancer but maybe I can next year. You have certainly given me much to think about. BTW, I do eBird religiously and I do participate int he Great Backyard Bird Count in February. 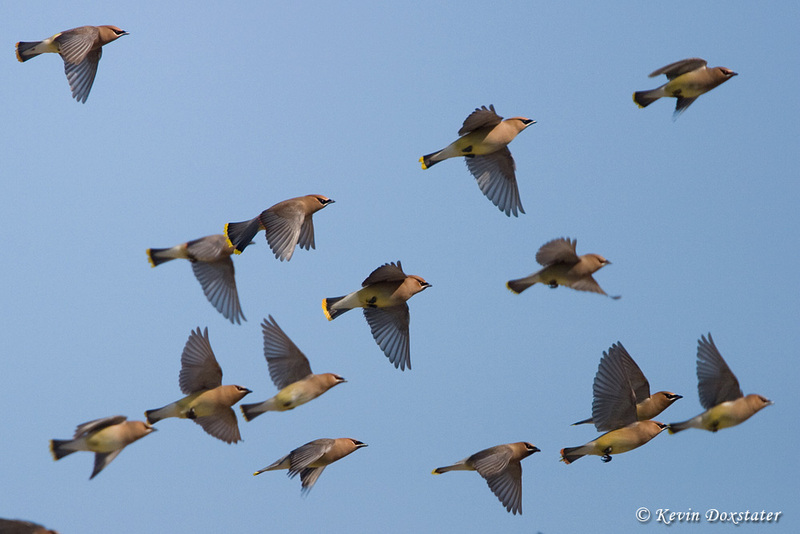 I have learned that all this data is invaluable to tracking bird populations, so, Keep up the good work! Thanks Dan, Robert, & Kathie! Hope you can find a way to try it out next year and best wishes for your Mom's speedy recovery!